Garden landscaping may feature a pond and a variety of different plants. Non plant features, such as small retaining walls or lights, are part of garden landscaping. Roses are a popular garden flower. 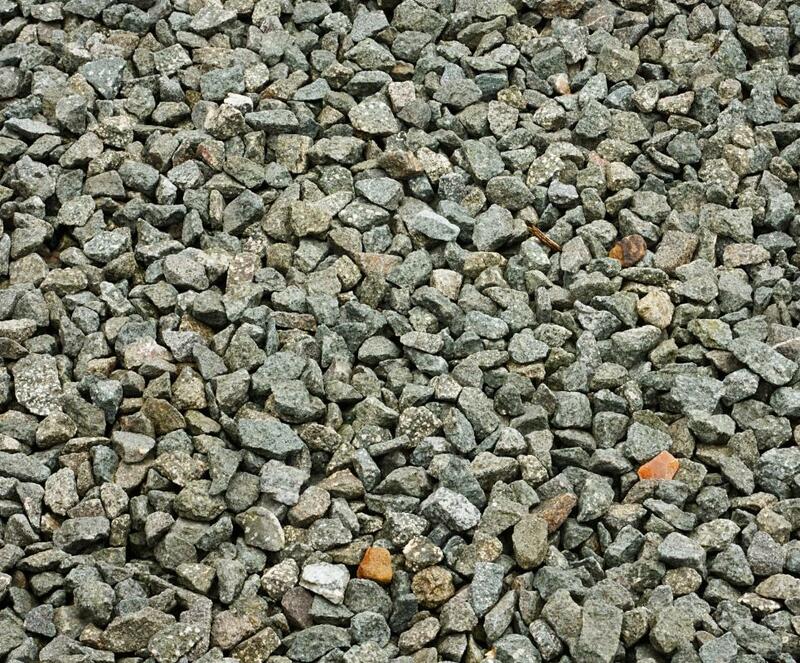 Gravel is among the typical materials used in garden landscaping. Berms are dirt mounds that can be landscaped with grasses to give them a more natural look and feel. 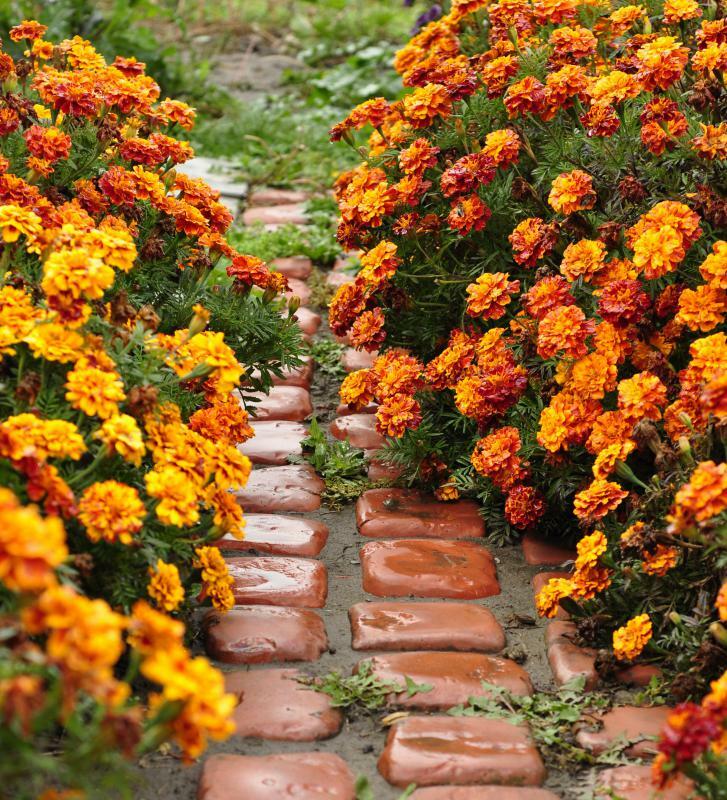 Pathways using materials such as bricks is part of garden landscaping. A water feature in a garden. Garden landscaping refers to the plants and non-plant features that have been deliberately combined and arranged to create a pleasant atmosphere within a garden space. This arrangement may be done by a professional landscape architect or by an amateur gardener. Depending on the needs and wishes of the garden’s owner, design priority may be given to aesthetics or to creating a functional space. Typical elements of garden landscaping include flowers, shrubs, trees, grass or gravel, stone walkways, water features, outdoor furniture, and lighting. 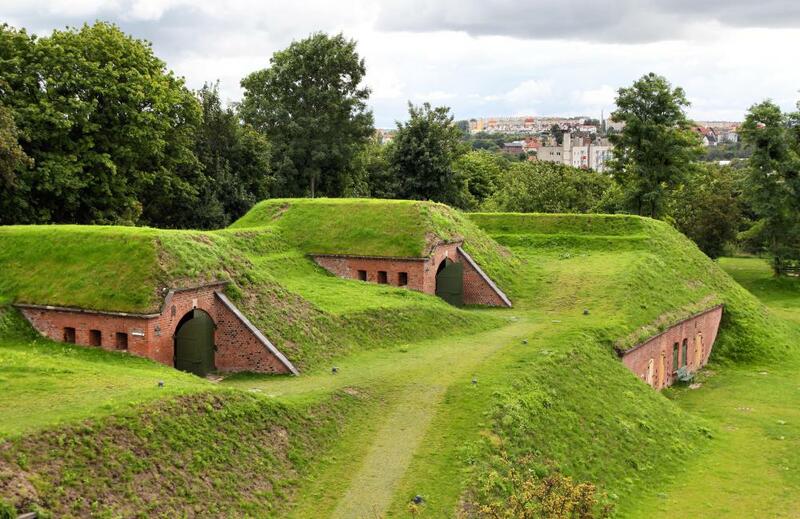 The principles of garden landscaping can be applied to spaces of many sizes and functions, from large public parks to small backyards. Professionally trained garden designers, also known as landscape architects, are commonly hired to plan the garden features of public spaces. They may also be contracted by a homeowner who wishes to introduce a professional level of design to his outdoor space. In many cases, however, home garden landscaping is planned and executed by the homeowner himself. While garden landscaping is intended to be visually pleasing, the designer must consider more than appearances when planning a space. He must determine how the space will be used, and choose visual elements that allow for and even enhance that use. For instance, a garden situated at a family vacation home may incorporate a patio and outdoor dining furniture, allowing the family to take meals in the space. Also important considerations are the soil quality and the climate, which to some extent can dictate which kinds of foliage can be used. Plant elements commonly used in a garden may include shrubs, trees, and flowers. Depending on the intended atmosphere, these plants may be highly stylized. 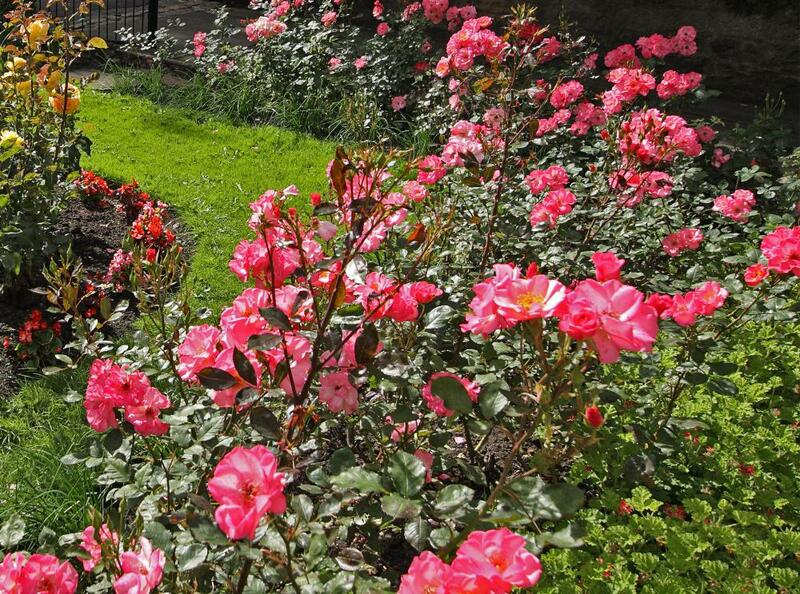 For instance, a garden might incorporate hedge mazes or flowers arranged in deliberate patterns. In other cases, the landscaper may favor more informal foliage, such as randomly distributed wildflowers. Another important consideration of garden landscaping is the space’s “floor.” Generally, a garden’s “flooring” consists of grass, gravel, wood chips, dirt, flagstone, or some combination of these. As with the other elements of garden design, the material chosen should contribute to the space’s atmosphere. Gravel, for instance, is often used to create a highly formal appearance, while grass is used to create areas which can be used for lounging or picnicking. Water features are also a common part of garden landscaping. Designers may incorporate a pond which reflects the colors of the flowers that surround it or a raised bath that draws birds to the garden. 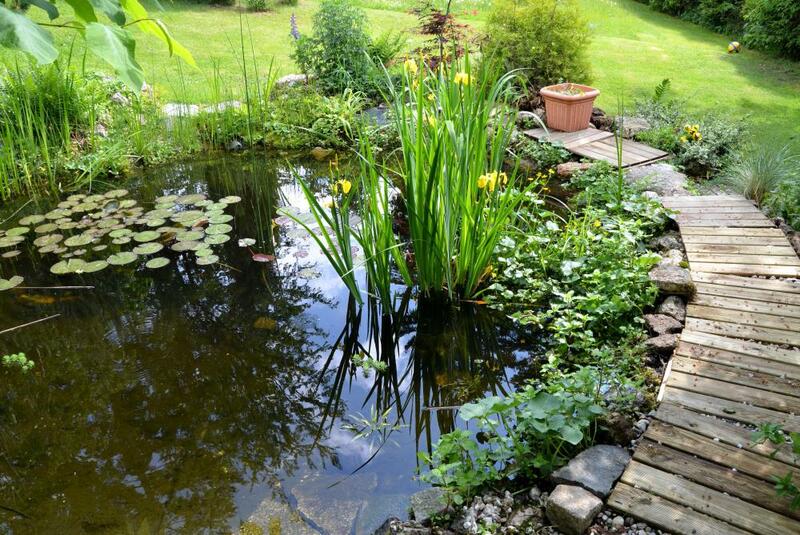 Ponds may be filled with fish, topped with floating lilies, or fed by a bubbling waterfall, further enhancing the sights and sounds of the garden. 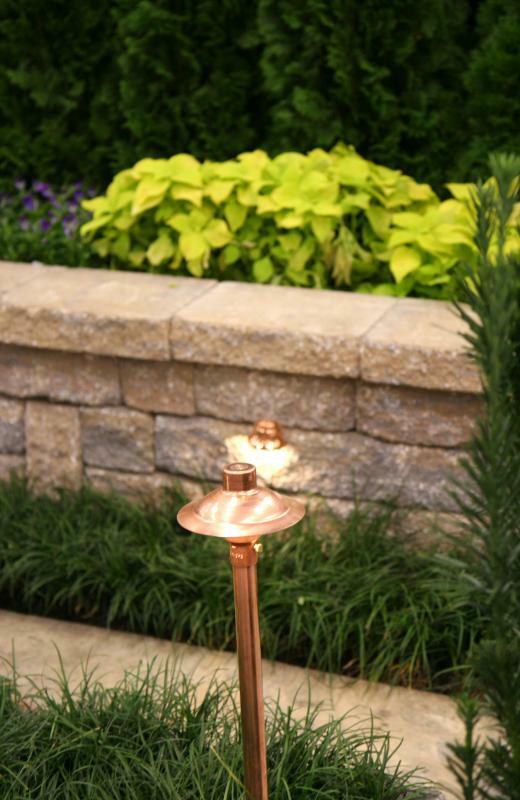 Finally, many garden landscaping schemes include outdoor furniture clusters and lighting. These features are generally chosen to complement the organic elements of the garden. They allow visitors to relax and enjoy the fusion of the space’s many facets. What Is a Garden Service? What are the Basics of Herb Garden Design? What are the Different Types of Garden Water Features?